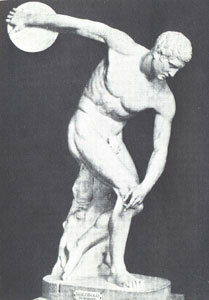 A brief time line of the evolution of Disc Sports from ancient Greece to the present day. 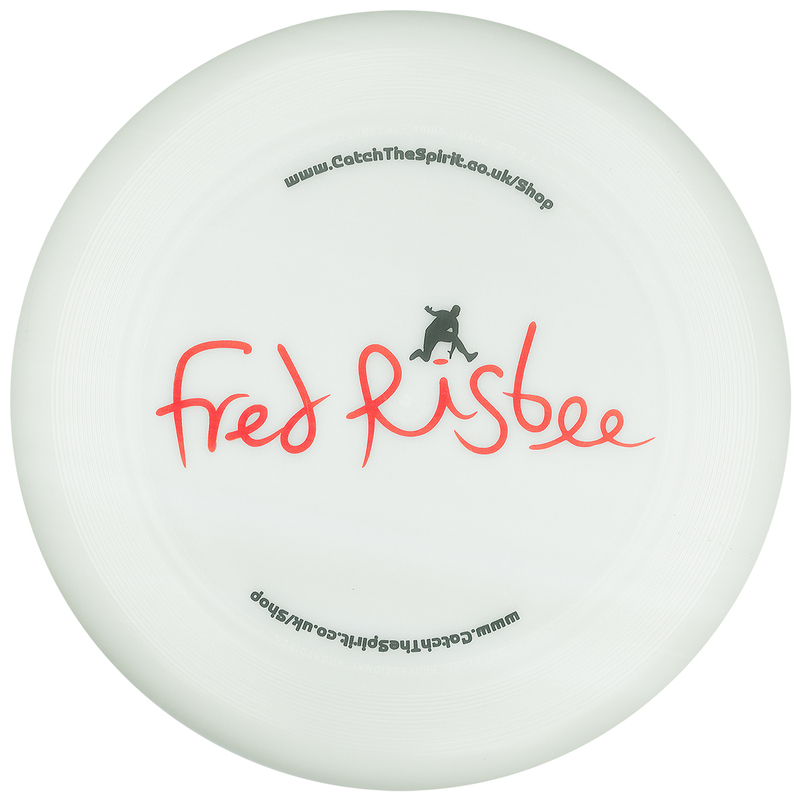 The history of Frisbee dates back to ancient Greece there’s a famous statue of Discobolus throwing a kind of overhand throw with a flying disc – the first disc thrower perhaps? In Utah the remains of a clay disc were found, which scientists believe may have been used for recreational play by Native Indian Americans. THE FRISBIE PIE BAKING CO. In the late 1870’s a baker named William Russel Frisbie, of Warren, Connecticut, and later of Bridgeport, put the family name on the bottom of the light tin pans in which the homemade pies were sold. 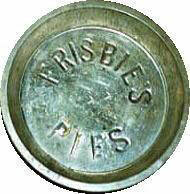 The Bridgeport Frisbie Pie Co. grew and soon sold throughout much of Connecticut, including New Haven where a group of Yale students famously began using them for ‘recreation’. And this is where the modern history of Frisbee really begins. Yale students in New Haven, Connecticut, began playing throw and catch with the Frisbie Pie Baking Co tins. They shouted “FRISBIE” as the tins sailed through the air to alert each other of these incoming missiles! In California, a UFO enthusiast named Walter Frederick Morrison designed a ‘flying saucer’ to play throw and catch with, which was consequently produced by ‘Wham-O’. The president of Wham-O then encountered this pie-tin-tossing craze at Yale while on a promotional tour of college campuses and renamed the ‘flying saucer’ to ‘Frisbee’, dropping the letter ‘i’ to avoid any legal issues. 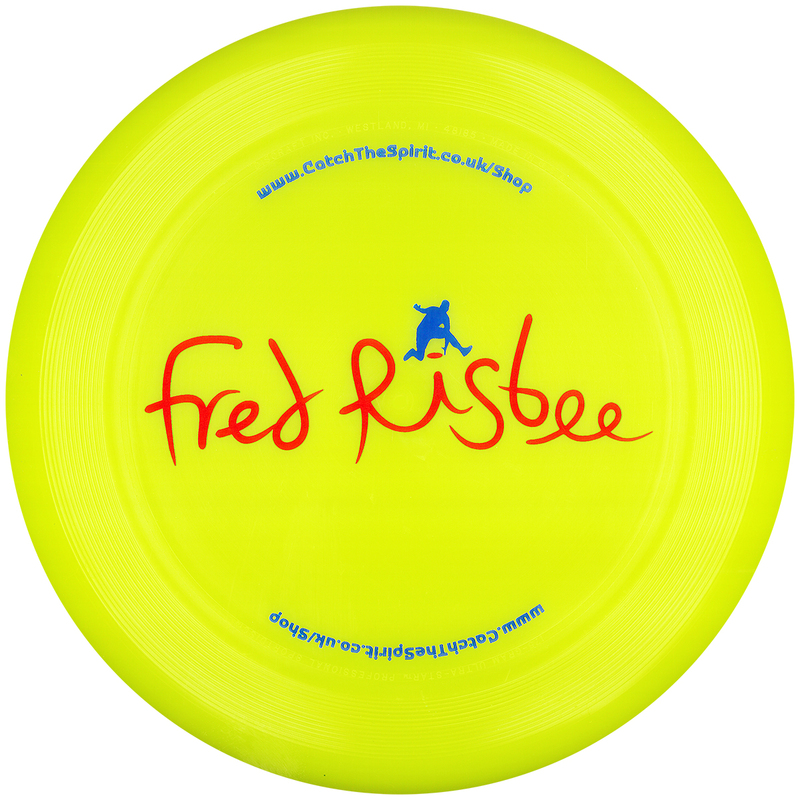 Disc Sports became a popular pastime for ‘hippies’ in USA playing ‘Frisbee’ games such as Guts, Freestyle, Frisbee Baseball, and Frolf (an earlier term for Disc Golf). Festivals and tournaments took place during the 1970’s, attracting hundreds and thousands of spectators and newcomers to Disc Sports. 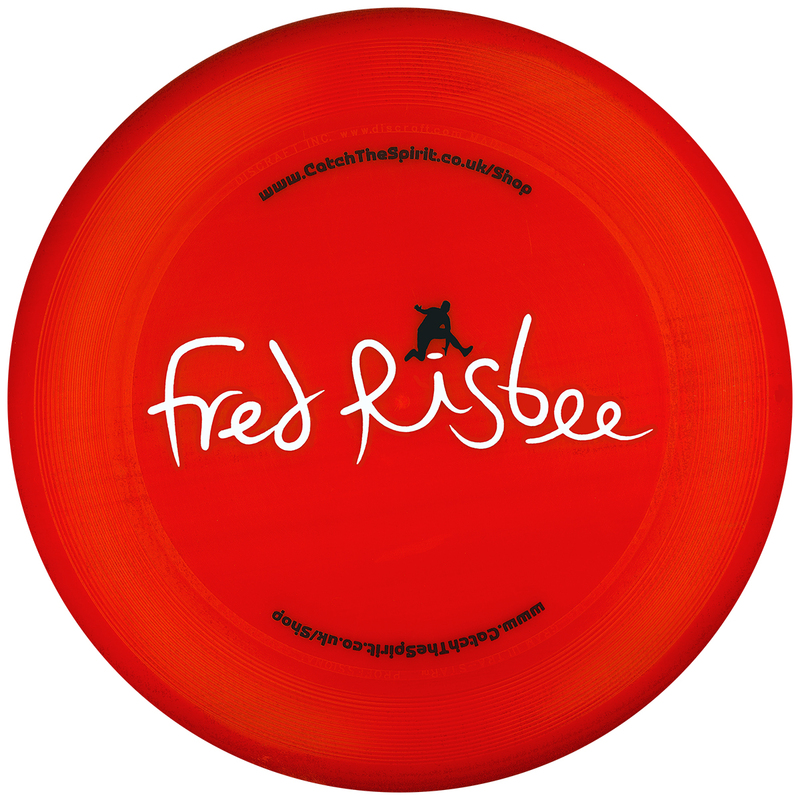 This was a very vibrant and colourful era of the history of Frisbee! 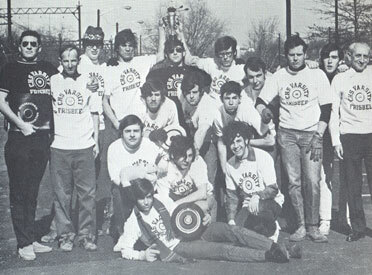 1968 ULTIMATE FRISBEE IS BORN! Ultimate was invented by a group of 13 year old boys at Columbia High, Maplewood, New Jersey. The game was then adopted by students in colleges throughout North America. The picture above is of one of the first teams to be established. Disc Golf took off in the USA using basket & chain targets and high-tech golf discs – a whole new industry emerged with hundreds of golf courses being established, the vast majority of which being free to play. The PDGA tour began, with competitions being held across North America offering cash prizes and sponsorships deals. There has been a steady growth of participation in Disc Sports around the rest of world. Most large universities in the UK have Ultimate Frisbee clubs and take part in indoor and outdoor tournaments all year round throughout the UK and Europe. The UKUA is the governing body for Ultimate in the UK. There are currently over 20 permanent Disc Golf courses in the UK. The BDGA holds a series of tournaments throughout the year, players of all ages and abilities welcome to get involved. Since 2005 the Disc Sports 4 Schools initiative by Catch the Spirit Ltd has introduced Disc Sports into hundreds of schools and colleges throughout the UK. Many are now incorporating disc activities into the PE curriculum, out of school clubs and sports festivals. The future of Disc Sports is an exciting prospect as all disciplines continue to grow at an increasing rate. In the UK more schools are joining in, more Ultimate teams are being established and more Disc Golf courses are springing up each year. The media interest is rising too so who knows… one day might we even see Ultimate and Disc Golf in the Olympics? !